According to the National Federation of Paralegal Associations, 85% of paralegals have formal paralegal training. For future paralegals, this statistic is critically important. Your likelihood of career success—from receiving an invitation to interview for a position, to earning a competitive salary—increases if you pursue an appropriate paralegal education. However, with multiple training options available, and roughly 600 paralegal programs in the United States alone, determining the meaning of “appropriate” can be difficult. To assist you, the below is an introductory guide to how to become a paralegal. The first step to becoming a paralegal is to get your degree or certificate from an accredited institution. If you are interested in the paralegal profession, then it's important to understand the difference between being a certified paralegal and having a certificate in paralegal studies. A person who has successfully completed a paralegal education and training program may receive a certificate. Receiving this certificate designates the conclusion of the educational process. It does not mean that this person is “certified” as a paralegal. What Does It Really Take To Work As A Paralegal? Author: Doyle Happe. 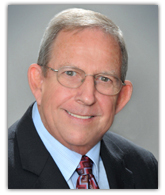 Doyle Happe has over 40 years experience in the field of education. He is Director and co-founder of Center for Advanced Legal Studies and is passionate about providing quality educational programs that permit graduates to perform at a high level. The focus of this article is on substandard paralegal programs that restrict success through limited curricula and preparedness. Attorneys completed an undergraduate degree, earned a high enough score on their LSAT to be accepted into law school, entered and graduated from law school, studied for and passed the bar exam. All of this to become eligible to practice law. Then, as time goes on, they need someone to organize their files, interview clients, conduct research and perform the many other legal duties that would free up their time to take on more clients, litigate more cases and allow the firm grow and prosper. They need a paralegal! This is where you come in. Paralegals legally perform all the duties of an attorney with the exception of representing clients in court, setting legal fees, and giving legal advice. They work under the supervision of an attorney and their time is often billed to the client, so if you want to be a paralegal, it would be a good idea if you knew what you are doing. You probably have come across some paralegal training programs suggesting that after a few short weeks, you too can be a paralegal. Some even claim a few weekends will do the trick! These programs are often presented at prestigious universities that have a long tradition of academic excellence. You usually would not question these institutions, but the inherent inquisitive nature of legal professionals causes you to start wondering why it would take an attorney three years of law school to grasp what you learned last weekend! This starts your search for a more responsible path to becoming a paralegal and you find educational standards already established. Your search leads you to AAfPE, the largest paralegal educators' association in America. They state, "These short-term programs are doing a disservice to the students who enroll in them, to those who employ paralegals, and to the legal profession." There's more, but I'm trying to be nice here. In retrospect, it's not reasonable to believe that after a few weeks of training you could be much help to someone who spent all those years preparing to practice law. Instead of freeing up their time, the opposite happens. 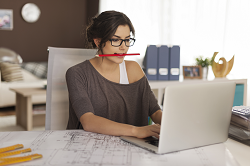 So, what does it really take to work as a paralegal? Getting properly prepared is a good way to start. Perhaps your first legal research assignment should be to discover the most appropriate educational path for you to take to arrive at your destination. 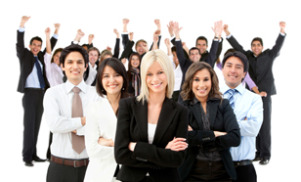 Your success as a paralegal may depend on how you do on this project.